Compress air by pneumatic, no electric arc or sparkle, especially suitable for the application of anti-explosion. Low noise, running reliability, moving easily, low maintenance cost. Pump will stop working automatically at setting pressure. Equips with hand-operated shank, can be Manual drive or pneumatic drive. Input gas source pressure is: 4-8 Bar. High precision gas pressure reducer to regulate the gas precisely. 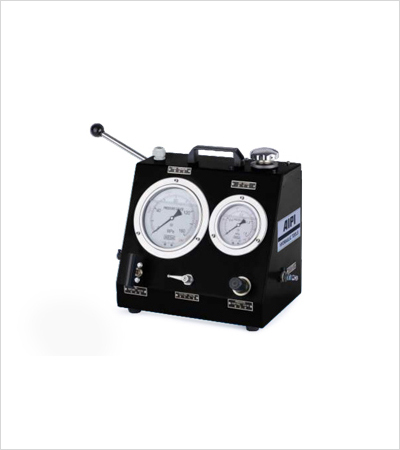 Adjust the pressure through manual pressure control valve or pneumatic control valve.